Dr Barbara Bergin was selected for the 2013 Distinguished Alumni Community Outreach Award for the Texas Tech University Health Science Center School of Medicine. 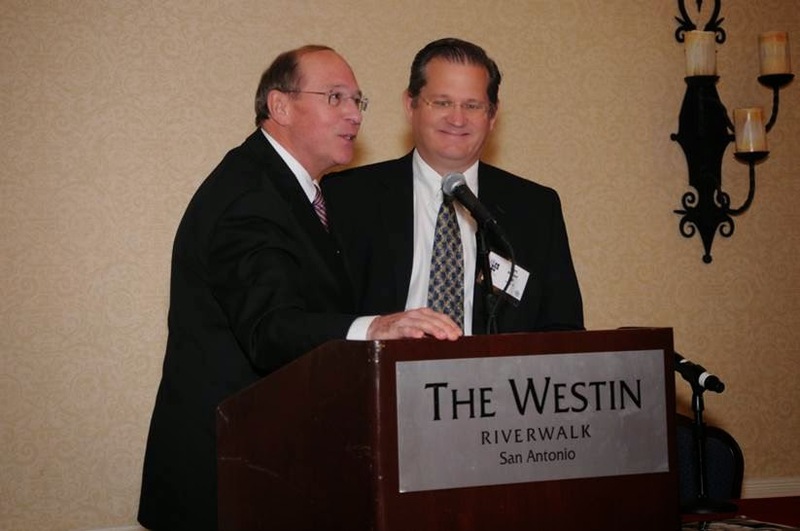 This award is the highest honor an alumnus can receive from our university and is awarded every other year. It recognizes and honors alumni who have demonstrated exceptional service and devotion to their community and whose accomplishments and careers have reflected positively on the TTUHSC School of Medicine. She was nominated for this award by Dr. Scott A. Smith, also with Texas Orthopedics and chosen by Steven L. Berk, M.D., Dean of the School of Medicine. Many people that suffer from orthopedic injuries are also at risk for muscle atrophy, a serious condition where the muscles are “wasting”. Striking over 50 million Americans annually, muscle atrophy impairs physical activity, predisposes people to falls and fractures, and often forces people into nursing homes or rehabilitation facilities. Exercise is helpful, but for people that are ill or injured, there currently isn’t an effective way to prevent or treat it. 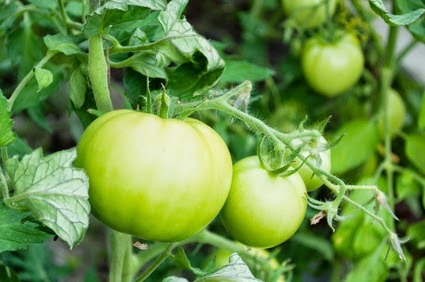 A team of scientists from the University of Iowa published a new study in the Journal of Biological Chemistry that links tomatidine, a compound from green tomatoes, to bigger, stronger muscles, in addition to preventing and treating muscle atrophy. To begin their research, the team searched for a small molecule compound that might be used to treat muscle atrophy. They focused on tomatidine because it generates changes in gene expression that are essentially opposite to the changes that occur in muscle cells when people are affected by muscle atrophy. Next, they tested its effects on skeletal muscle and discovered that tomatidine stimulates growth of cultured muscle cells from humans. Then they added tomatidine to the diet of mice and found that healthy mice supplemented with tomatidine grew bigger muscles, became stronger and could exercise longer. And, most importantly, they found that tomatidine prevented and treated muscle atrophy. Scientists are unsure how many green tomatoes a person would need to eat to get a dose of tomatidine similar to what they gave the mice, or if the same dosage would be healthy for humans. More research is needed to answer these questions and to discover if tomatidine can be incorporated into science-based supplements or everyday food to make them healthier. Aim high and think big. Whether it’s the Super Bowl, the Olympics or the World Series, the top athletes aim high. You can adopt some of the philosophies below and apply it to your every day workouts. Of course, you aren’t going to hit your dream goal right away. And athletes know this too. The UConn Huskies didn’t automatically win the NCAA Championship in the first round; they had to battle through 7 rounds before they were the winners. And each round’s win built upon itself and gave the team momentum. When you’re trying to reach the dream goal, think the same way. Each trip you make to the gym is another win, but it doesn’t stop there. It’s just another victory to build your momentum. Be an athlete all the time. Everything you do and every choice you make affects the end goal. Just because the game is over doesn’t mean athletes like Maria Charapova stops being an athlete; it just means that particular game is over and it’s time to think about the next one. That can mean making the hard choice between staying in bed or getting up early for that boot camp class. If you’re thinking like an athlete all the time, it means you’re getting up for that class. 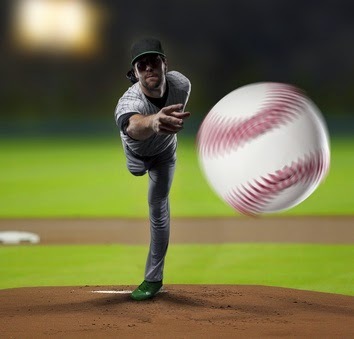 Athletes visualize spiking that winning ball or catching that winning touchdown, and those fantasies affect their reality. It’s all about overcoming obstacles and gaining control, so when you are faced with tough challenges, you know you can beat them. Imagine what you want to see happen during your next workout to help set yourself up for success. Athletes don’t just think they’re winners, they tell themselves they’re winners. During a tough workout, athletes that use this positive reinforcement perform better and longer. Next time you are feeling tired and don’t think you can finish that run, tell yourself that you can and keep at it until you do. It’s not all about how you look in a bikini. Fitness and exercise should be more about your health. Here are some great, medical benefits you’ll get just from being active! 1. Get better sleep. Want better Z’s? The key is being more active during the day, which can simply translate to standing up more often at work or taking daily, 15 minute walks. The more active you can be, the better you’ll sleep! 2. Strengthen your bones. Bones can be strengthened with regular, weight-bearing activity which can help reduce some of the natural decline in bone health as we get older. If you are already doing a low-impact activity, switch up your routine and try using some free weights. 3. Lower blood pressure. Exercise helps your heart become more efficient at pumping blood, which leads to lower blood pressure. Moderate physical activity like jogging, biking or swimming will work wonders and give you a great reason to enjoy these beautiful sunny days! 4. Relieve Stress. Studies indicate that a regular fitness routine reduces fatigue, improves alertness and elevates mood. So the next time you are feeling stressed, take a quick walk. 5. Reduce the risk of stroke. Researchers have linked inactivity with an increased risk of stroke. Cut your risk by working out at least 5 days a week. 6. Boost Your Immune System. Taking a daily walk or following a simple exercise routine a few times a week may help you feel better. Exercise not only helps your immune system fight off simple bacterial and viral infections, it decreases your chances of developing heart disease, osteoporosis, and cancer. 7. Keep Your Brain Alert. With a regular fitness routine, you can reduce the cognitive decline that is associated with aging. Additionally, getting your kids to exercise will help with their learning and memory. Whether you are a workout pro or just getting started, remember to be safe with your fitness routine and make sure that you find something you like to do - your body will thank you! “Got Milk?” A recent study conducted by researchers from Harvard Medical School and published in the peer-reviewed medical journal, Arthritis Care and Research, focused on the link between osteoarthritis and milk consumption. Osteoarthritis is a joint condition where the connective tissue between bones wastes away over time, causing the bones to rub together. It’s painful and most often affects the joints in the hands, knees, spine and hips. Researchers wanted to know if milk helps stop existing osteoarthritis from getting any worse, so they focused on one aspect of osteoarthritis: the gap in the knee joint that can be seen on an X-ray, which is an established clinical measure of the progression of the condition. The study found that in women who regularly drink milk, the joint gap did not reduce as much after four years than women who drank less or no milk (meaning the milk drinkers’ osteoarthritis was deteriorating at a slower rate). However, in men there was no significant association between drinking milk and the gap in the knee joint. While the study was limited to this one measurement and did not address whether or not the reduction in joint gap led to any reduction in discomfort and pain for people with osteoarthritis, it does start an important discussion in the medical community. And it also reminds us that getting the right amount of calcium in our diets is extremely important for strengthening bones. Want to know other foods besides milk that can help strengthen your bones? Check out our blog on 5 Foods to Improve Your Bone Health. Tiger Woods, Kobe Bryant and most recently Christian Benteke; what do they all have in common? They’ve all suffered Achilles tendon tears – serious injuries that have sidelined them for their respective sports. Your Achilles tendon is one of the longer tendons in your body, stretching from the bones of your heel to your calf muscles. You can feel it-- a springy band of tissue at the back of your ankle and above your heel. It allows you to extend your foot and point your toes to the floor. 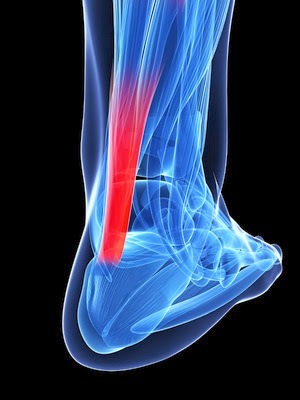 Achilles tendon tears can strike all kinds of athletes or even the average person not playing a sport. A tear can happen when you’re walking down the street and suddenly you trip in a hole; however, in most cases, Achilles tendon tears occur while engaging in sports and activities that require you to sprint and jump or make sudden movements such as those in basketball, tennis, running, volleyball and soccer. 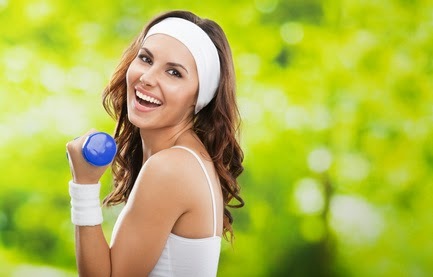 · If you are planning to intensify your exercise routine, do it gradually over time instead of all at once. · Before working out or playing any sports, make sure you loosen and stretch your muscles. · Try to alternate between high-impact and low-impact training and workout activities. · Drink water to ensure that your muscles are properly hydrated. · Make sure that the shoes you’re wearing are the right size and provide the right support for the activity you’re engaging in. · If you are feeling any pain, stop exercising. Playing high-intensity sports is exciting and fun, but remember to take careful precautions to protect your Achilles tendon. Injuries can be extremely painful and often require a long recovery, which means being out of the game for a while! And that’s the last thing any of us want. Women love their high heels... but you might think twice about how often you wear them after watching Dr. Barbara Bergin's interview on KVUE telling the ugly truth about high heels and foot problems. Spring has sprung so the time has come to break out the rake, put on some gloves and start the mower so that you can get your yard looking green again. But before you get started, we want to provide you some tips to help you avoid painful injuries while gardening and doing yard work. You might not realize it, but gardening and yard work can be quite a workout. You’re using a lot of upper body strength raking leaves; you’re squatting to pull weeds; you’re bending over to lift heavy objects; and the list goes on. The best way to make sure you can get your work done while enjoying yourself is to minimize your risk of injury. For example, try not to squat with your heels raised. Keep your feet flat on the ground. 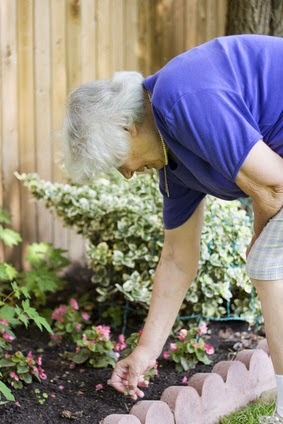 Or better yet, keep a stool handy and try to sit while doing things like pruning. Another way to reduce injury is to maintain correct posture. Posture isn’t just about sitting. It’s also important during activity. Don’t bend at the waist to dig or rake; bend from the knees. This also applies to lifting heavy objects. Also, try to use a wheelbarrow or other tools whenever possible to keep the weight off your back. Use these tips while working in the yard. Your back, knees and hopefully yard will thank you! With the excitement surrounding the X Games coming to Austin in June, some people may forget that the X stands for ‘Extreme’. And just like their name, extreme sports pose extreme injury risks. A new, one-of-a-kind study presented at the 2014 Annual Meeting of the American Academy of Orthopaedic Surgeons (AAOS) found that while extreme sports might be more thrilling than traditional team sports, they present a more serious risk of head and neck injuries. Researchers reviewed 2000-2011 National Electronic Injury Surveillance System (NEISS) data for seven popular sports featured in the Winter and Summer X Games: surfing, mountain biking, motocross, skateboarding, snowboarding, snowmobiling and snow skiing. The study found that of the 4 million injuries reported for extreme sport participants, 11.3 percent were head and neck injuries (HNI). Of all HNI reported in extreme sports, 83 percent were head injuries and 17 percent neck injuries. The data included all ages; however, not surprisingly, teens and young adults accounted for the highest percentage of extreme sport injuries. 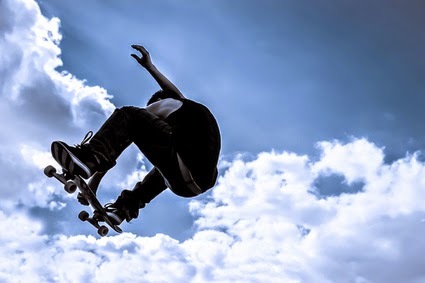 So if you already participate in extreme sports or are inspired by the X Games to start, make sure you are aware of the risks and wear a helmet to prevent head and neck injuries.